Erica Miner: Jamie, congratulations! You must be crazed with centennial activities. 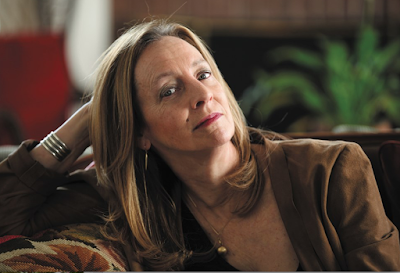 Jamie Bernstein: Yes! I never stop running around. I’m doing so many things at the same time. I’ve mostly been a concert narrator for the past 18 years. That was like a training for this year’s marathon. It never stops. It’s like being in exam week for a year. Just wild. Everything I’m doing now is going into high gear. Narrating concerts, giving talks, writing articles. This wonderful website that WGBH in Boston just put up a few months ago, their first whole year is devoted to Bernstein and the centennial. My brother and sister and I have been giving little reports from our various runouts having to do with the centennial. I can’t complain, though. It’s very exciting. EM: You must be thrilled to see your book come to fruition. JB: Oh, I’ve got to tell you, Erica. I’ve been a writer pretty much all my life. I almost didn’t allow myself to fantasize that I would really write a book and that it would be published one day. So for this to have actually come to pass is beyond anything I dared hope for. Last week I received my first hard copies of the book. Holding it in my hands, all pound-and-a-half of it, I couldn’t even believe the thrill, honestly. It’s a pretty good feeling, kind of addictive. Makes me wonder what the next one’s gonna be [Laughs]. EM: Do you think of Famous Father Girl as a love letter to your dad? JB: It’s a love letter to my whole family. Definitely to my dad, but also to my mother, brother and sister, without whom I don’t think I could have gotten through all of it. It was so crucial that I had these two siblings with whom to create, as I described in the book, this sort of membrane together that insulated us a bit from all the craziness. It’s funny, because my father did the same thing with his two siblings. We grew up observing how the three of them were together. They were so close, they had so many in jokes, they even had their own language. So we had this perfect template for a way to be ourselves. We sort of have our own language, too, a combination of their language plus Spanish, which was our mother’s native language. We grew up bilingual. EM: The kind of craziness in your family is like anybody else’s, times thousands. JB: It all was sort of in an amplifier, yes. EM: You wrote that your dad wanted to be considered a composer of worth at a time when academically accepted composers were writing serial music and he wanted to write tunes. Was there something about the era your dad lived in that defined him as an artist? JB: Oh, and how. It was his lot in life to be a composer who loved to write melodies at a time when 12-tone was the straitjacket that every so-called serious composer had to put on if they wanted to be considered serious. But at the same time, as conductor at the New York Philharmonic, he felt very strongly about advocating for new music and contemporary composers. He saw to it that the Philharmonic would commission works. He would present new works every chance he got, even though they were all 12-tone. Something he liked to do in general was going out before the performance and talking to the audience about the piece he was about to play. Nowadays conductors do it all the time, but back then it was considered very “not the usual thing that we do,” and people were sort of taken aback. But he would find some palatable user-friendly context to put these pieces into so that his subscription audiences could make head or tail of them. It was a tough assignment. EM: But a very smart thing to do. JB: It’s what he felt he had to do. I think he was doing it for himself, too. He had his own degree of resistance to a lot of this music and was trying as hard as he could to make sense of it for himself as well as for his audiences. EM: I’ve always felt that your father lived five lifetimes in one. Can you relate to that? JB: Yes! I think that’s true. For one thing, he was such a terrible insomniac. It’s just amazing how much you could get done if you never sleep. Every day is twice as long, right? The upside of it was that he got so much done. The downside was, it’s torture not to be able to sleep. That was part of what exacerbated his dependency on sleeping pills, which in turn often made him dependent on amphetamines because he had to cancel out the sleeping pills if he had to get up early and go to rehearsal. He was on that seesaw, as were so many people in those years. Doctors would give you sleeping pills without thinking twice, and they would give you uppers. So many people in the arts suffered from being on that rollercoaster. We lost a lot of them as a result. Marilyn Monroe, Elvis. Bob Fosse, Judy Garland. It was that era. The good news is that my dad was able to keep going and not get snowed under by it all and still perform at an incredibly high level. He had a pretty strong constitution. A man with a motor, my mother used to say. If you have that motor, it gets you through a lot. EM: It certainly took its toll on him, but it left us with an incredible legacy. JB: It did. If he’d taken better care of himself, maybe he would have lived to 95. EM: His mother almost did. JB: Maybe he would have, too, if he hadn’t smoked and all the rest. Still, it’s amazing how much he managed to cram into 72 years. EM: He did. It feels like 5 lifetimes. JB: I think you’re right. EM: How long was Famous Father Girl in the planning stages before you started the actual writing process? JB: I’d been thinking all my life about writing some kind of a memoir, writing about myself in journals since I was very young. One of my earliest journals begins, “Dear Jamie Grownup.” So I already knew I was my own best reader. I had this sense that one day I would go back and read all these volumes and try to think of something to do with them. Then—this September, it would have been 3 years ago—I visited a friend who ultimately became my literary agent, Michael Carlisle. We were talking about my dad’s centennial, and he said, “Well, you know, if you write a memoir and key it into your dad and it comes out during the centennial year, you’re gonna sell a book.” Totally pragmatic piece of advice. I realized, oh my God, he’s right. This is it. It was like he shot me out a cannon. I literally went home and started writing that afternoon. That’s how that went. You know how it is, you’ve written books. EM: Indeed! 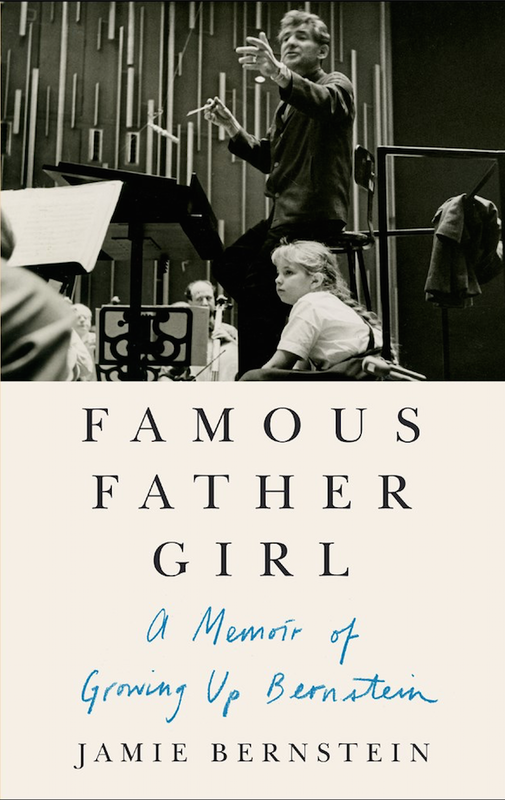 In your book, you mention a classmate in second grade who had designated you as “famous father girl.” Why did you decide to use that for your book title? JB: The reason I like it is that it’s just a little rude. Like a poke in the eye. And it’s alliterative, which I like. That’s just a lucky accident. But the other reason is that it makes the book be not pretending to be anything it isn’t. It’s like, okay, I grew up as the daughter of a celebrity and now I’m going to tell you about it. If I told you it was just about my own life you would be annoyed that I was beating around the bush about it. I just wanted to put it right out there and defuse any sort of misapprehension of what the book was about. It is literally about what happens when you grow up the daughter of a famous person. I just didn’t want to make any bones about it, to be coy about it. EM: Among the thousands of photos of him that must exist, how did you choose that particular image? JB: Well, it just says it all. I remember when it was taken because the photographer asked me to sit on the podium next to my father during his rehearsal. It was not a thing I was in the habit of doing. But the photographer thought it would be a cute photo. I think he was photographing for Columbia Records, they’re the ones that have that photograph in their archives. So this photograph tells you everything you need to know. Who my dad was, what he did, and where I was while he was doing it, which was right next to him. EM: You also mentioned that you, Alexander and Nina became “the ongoing guinea pigs for Daddy’s Young People’s Concert ideas.” How must that have felt? JB: My father never stopped teaching. Never stopped telling us about stuff. Certainly when it came to music. As a result of doing that, a lot of these—I almost hesitate to call them conversations; they were mainly lectures—a lot of his ideas for Young People’s Concerts would have come out of those exchanges. 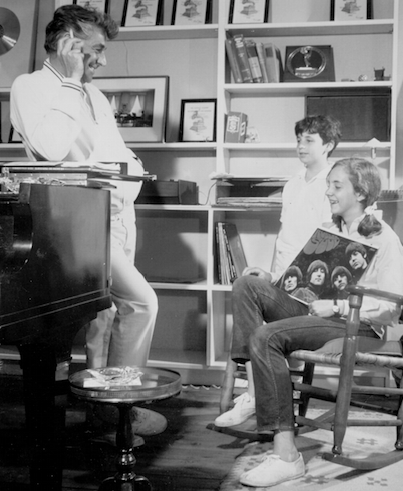 For example, we were all in the car together, listening to the Pop stations as we often did—my dad liked Pop music too, and liked to keep up with what was going on. He would turn on the radio and say, “Let’s catch up! What’s the Top 10 this week?” We were listening to You Really Got Me by The Kinks, a really good song from the 60s we all loved. He was bopping along and said, “Hey, you know, this song is in the Mixolydian mode. You know what a mode is?” We did not. So of course he proceeded to tell us about modes right there in the car. Not very long after that, guess what the next Young People’s Concert topic was about? JB: Yes! And when he got to the Mixolydian mode, he went to the piano and played and sang You Really Got Me, by The Kinks. The whole audience loved that a lot. EM: Remember at Tanglewood when he used to give us rides in his car? It was the same thing. EM: He would be teaching us all about poetry and nature, quoting Thoreau, with one hand on the steering wheel.